These low-calorie chocolate chip oatmeal cookies might just be a little taste of heaven, and the best part is you can eat them without feeling too much guilt. A few tweaks to the average chocolate chip cookie recipe help these chocolate chip cookies become a little more friendly to the waistline, but you'd never know they are lower in calories than your average cookie. 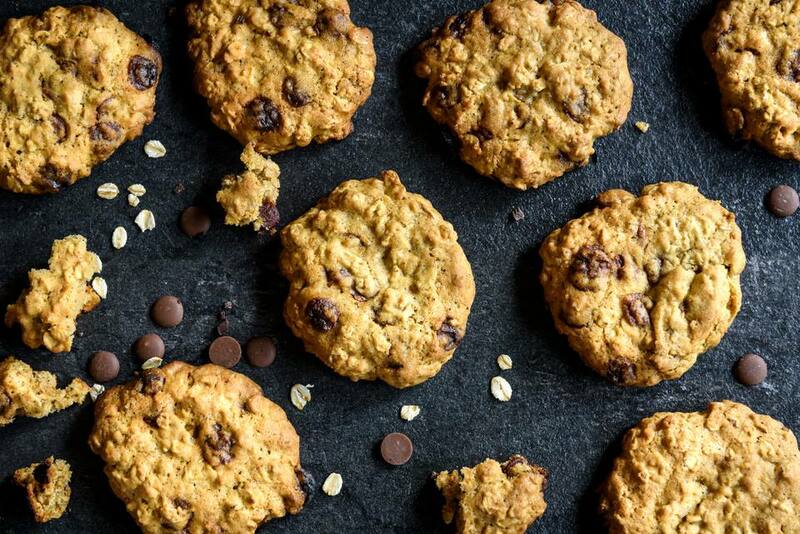 Plus, as far as nutrition goes, these cookies have a little bit to offer: oats are a real nutrition powerhouse, loaded with heart-healthy dietary fiber. Heat the oven to 350 F. Spray a large baking sheet with nonstick cooking spray or line it with parchment paper. Place the softened butter, the brown sugar, and the white sugar in a medium-sized mixing bowl. With an electric beater, beat the butter and sugars until the mixture is smooth and fluffy. Add the egg and vanilla and continue beating until the mixture is completely combined. Set the mixture aside until you are ready to continue with it. In a separate, large mixing bowl, combine the flour, oats, baking powder, baking soda, salt, and cinnamon simply by using a large spoon or fork to toss the dry ingredients together. Make sure the mixture is well combined. With a large, sturdy spoon, mix in the butter-sugar mixture by gently stirring the ingredients together just until they are well combined. Add the chocolate chips and continue to gently stir the ingredients to combine them well. Use a tablespoon to drop the dough by rounded tablespoons onto the prepared baking sheet, spacing them about 2 inches apart. Bake the cookies for 10 to 12 minutes or until the edges of the cookies turn slightly brown (bake a little less for soft cookies, and a little longer for crisp cookies). Make sure that the butter is only softened, and not melted, as it will provide for a different texture for the cookie.